I can’t believe it’s already 2016. The end of January will mark the second anniversary of First Draught in The Brandon Sun. I can’t believe it has been that long already. Back in April, I went to Montreal for my annual bièrcation. While I was there, I checked out Marché Jean Talon, a large indoor farmers market featuring fresh-baked goods, fresh meat, squeaky cheese curds and even maple syrup. Across the street from the Marché was a small dépanneur (convenience store) that mainly sold beer and cheese. I noticed a bottle of Le Trou du Diable’s Shawinigan Handshake with a label featuring former prime minister Jean Chrétien choking hockey commentator Don Cherry. Next to it was a beer called Charles Henri Blanche by Brasserie Les 2 Frères out of Terrebonne. One of the sales clerks at the dépanneur was telling me that Brasserie Les 2 Frères was an up-and-coming brewery that only recently opened up. I love trying out new breweries so I picked up the Charles Henri as well as a bottle of their Hickson IPA. 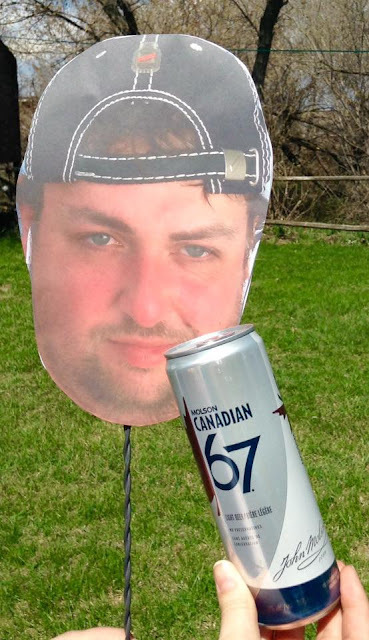 Last month I went to Winnipeg to visit a friend who was in town for the Grey Cup. Seeing that LCs and vendors in Brandon generally miss a few dozen products that get sold in Brandon, I tend to buy a bunch of beers that aren’t available in Brandon - two of them were the Charles Henri and Hickson IPA! I was surprised to see such a small Quebec brewery selling their beer in Manitoba, but the more the merrier! I regularly run into Jeff from the Corral Centre Liquor Mart and suggest him new beers, even when he’s not working. Like clockwork there will be the beer I suggested in the beer selection by the end of the following week. Last week he brought in a case of Les 2 Frères Charles Henri Blanche to the Corral Centre LC! 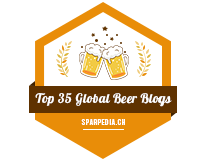 I really am biased about the Quebec beer scene, but when you see towns the size of Hartney with incredibly successful breweries that sell their beer internationally, it makes a beer geek like myself envious. 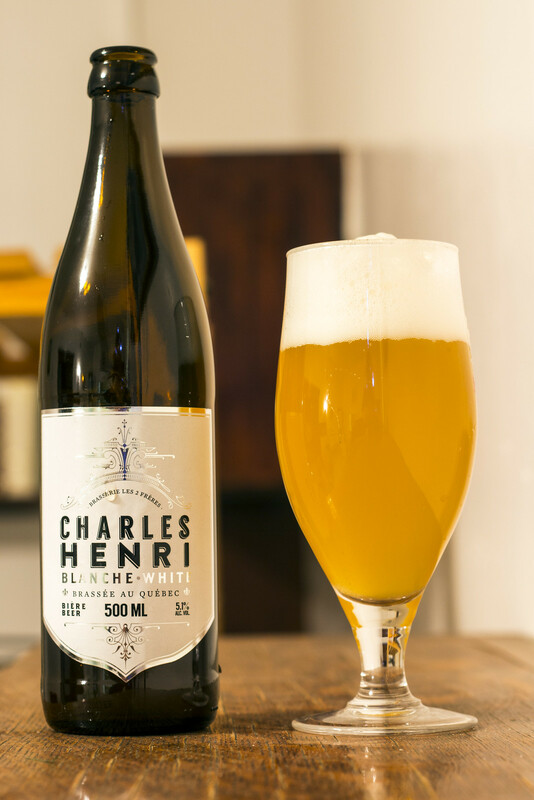 Charles Henri Blanche is your typical Belgian style witbier, it pours a thick cloudy orange-meets-lemon peel yellow with a very thick amount of off white head that takes forever to go down. The foam that does end up diminishing leaves a white filmy substance on the side of the glass. The aroma is very parfumic with a very rich scent of coriander, making it the dominant scent in the beer followed by a good amount of orange zest, a moderate amount of Belgian yeast, bubble gum and a squirt of lemon. The aroma makes me think that it would be great as part of a beer mimosa. The taste is a mixture of champagne, Belgian yeast, lots of coriander, lemon wedge and a hint of iron. This beer is heavy in coriander, making it more herbal and sweeter than a Rickard’s White. I find some people prefer more of a yeasty Belgian witbier that’s minimal on coriander, I love a liberal amount of coriander in my witbier.. as long as it doesn’t take away from the other flavours. Taking away the coriander, Charles Henri Blanche has a lot of notes that reminds me of a Belgian saison, lots of lemon zest rather than orange peel, hint of iron and a bit of a grassy hoppiness. Charles Henri is a citrusy wheat ale that I’m finding is very welcoming in the winter with it being heavier than your typical Blanche de Chambly, Rickard’s White or Hoegaarden yet isn’t too strong on the stomach. At 5.1 percent ABV, it’s your typical strength for a wheat ale. Locally, you can only find this at the Corral Centre Liquor Mart for $5.00 per 500mL bottle. Otherwise you will have to go to Winnipeg to pick up this Terrebonne treat. Edit: Apparently, it turns out Manitoba was the first market Les 2 Frères entered outside of Quebec!